When I started with dividend investing I always pictured Royal Dutch Shell as one of the corner stones of my portfolio. Historically considered to be a typical widow-and-orphan stock, it is as far as I know the only stock that has its own adage: Never sell Shell. One of the reasons for this is because Shell is one of the few European companies with such a long record of rising dividends. While past performance is no guarantee for the future, it’s interesting to see that Shell’s history shows it takes a world war for this company to cut its dividend. It’s hard to verify this myself as Shell’s historical dividend payment overview on the company’s investor page doesn’t go back further than 2006 but from what I’ve been able to gather it appears the last dividend cut was in 1943 when a large number of the company’s assets were controlled by the Japanese and/or destroyed during the war. Going back further, it appears the only other dividend cut in the last 100 years was during similar conditions (World War I). Recently Shell’s stock has been taken a beating for a variety of reasons, including worries the company may have overpayed for its planned acquisition of BG Group and doubts about the company’s drilling plans in the Arctic. As a result, it’s once again possible to buy Shell at a dividend yield that exceeds 6%! It doesn’t happen a lot that you can buy shares of one of world’s largest corporations with such a juicy dividend so that’s the reason why I’m adding to my position today. Obviously, investing in oil companies right now is a bet on higher oil prices. While supermajors like Shell can weather out a storm, the company will be in trouble if oil prices remain depressed for a longer than expected timeframe. In fact, Shell based its calculations for the purchase of BG Group on oil returning to $90/bbl in the coming years. These aren’t easy times for Shell but this is a company that will do whatever it takes to protect it’s sacred dividend history. “We have a very long-term dividend policy and I’m not minded to change that,” CEO Van Beurden said in an interview in January with Bloomberg Television. 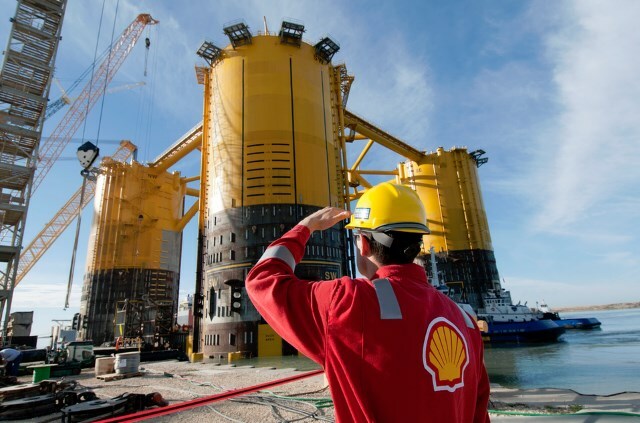 “The dividend is an iconic item at Shell and I will do everything to protect it.” Should things get worse, Shell will likely explore alternatives like further cutting capex, selling assets and/or taking on more debt to at least maintain its dividend. When Shell announced the acquisition of BG Group in April, the oil major pledged to keep its dividend steady at $1.88 per share this year and at least that amount in 2016. While significant dividend growth seems unlikely in the near-future, this stock has such a great entry yield of 6.28% that I’ll gladly wait for things to get better. I bought 51 shares of RDSB, after dividend taxes this purchase adds $71.91 in forward annual dividend income. Ceteris paribus, my forward annual dividend income now stands at 899.41EUR. This entry was posted in Investing and tagged dividend, RDSB, Royal Dutch Shell on May 31, 2015 by Dividends Are Coming. May was my biggest month to date thanks to two large dividends from the only Belgian companies in my portfolio. Unlike US stocks, most Belgian companies pay out dividends on a yearly basis and spring is the dividend season so that skews this month’s results quite a bit. In total that’s 144.28EUR in dividend income for May 2015! That represents around 18 percent of my estimated yearly forward dividend income so this month was more than twice as big in terms of dividend income than the average month. All dividend figures are after taxes, as I live in Belgium I have to pay 25% tax on most dividends and most foreign dividends are also taxed at the source (15% for the US). So the total tax rate for US shares totals 36.25%. I also received South32 (S32) spin-off shares from BHP Billiton. The spin-off has no impact on the dividend of BHP Billiton and South32 intends to distribute a minimum of 40 percent of its underlying earnings as dividends starting next year. This entry was posted in Investing on May 31, 2015 by Dividends Are Coming. After some consideration, I decided to become part of the dividend growth blogosphere to share my experiences and get a better view of my progress. I created my dividend portfolio in summer 2014 but I have been interesting in the stock market for a very long time. My first contact with the stock market was in the late 1990s, I was still a kid and it was one of those times when people rushed into the stock market to chase profits. I still remember stocks were a pretty hot topic back then but that changed rather quickly as a lot of folks suffered big losses as the tech bubble popped. As a young boy I found stocks intriguing and for a brief time I even had a paper portfolio that I updated by checking the newspaper or teletext on the television. After that I always had an above average interest in personal finance and economics but it wasn’t until 2007 when I bought my first stocks – a couple of months before the financial crisis made a big turmoil. Long story short: I thought I was pretty smart and like a lot of people I lost a bunch of money betting on financials, tech firms, biotech, and so on. I liquidated most of my portfolio at a loss and afterwards I didn’t really look at the stock market until mid 2014 when I stumbled upon dividend investing. One of the stocks I had bought in 2007 was Intel (INTC), I had subscribed to the news section on the company’s investor page so every once in a while I received e-mails about Intel’s financial results, new products, new investments and of course also the company’s dividend declarations. When I first bought my Intel shares the stock paid 11.25 cents per share, which corresponded to a dividend yield of around 2 percent. I didn’t think much of this as the yield was small versus a savings account back then, especially because the dividend got double-taxed and I only got to keep about 2/3rds of it after tax. I sold the stock after a short time but over the years I kept getting these dividend e-mails from Intel and around mid-2014 it finally hit me that Intel’s dividend had doubled in only seven years time! I was intrigued by this realization and after a couple of Google searches I discovered there’s a pretty big online community centered around dividend growth investing. Sadly I missed the massive stock market boom that started in 2009 but after a couple of weeks of research I decided to give dividend investing a shot as I felt very comfortable with this strategy. While valuations of a lot of companies were pretty stretched, I felt dividend growth investing in large and/or stable companies offered a pretty good way to generate decent returns over the long run without taking excessive risk. 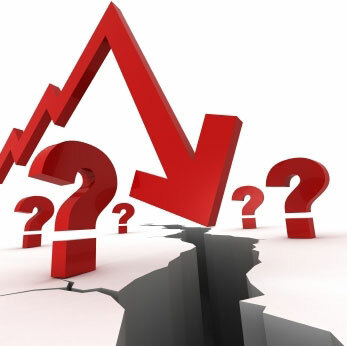 While it’s conceivable that one or perhaps even several of the companies I invest in may face severe headwinds or even go belly up, I believe the chance of a diversified dividend portfolio becoming worthless is unthinkable unless we face an event similar to the fall of the Western Roman Empire. As such, I figured the risk of this strategy is small if you’re doing this with a multi-decade focus. I know a lot of people favor S&P500 index trackers (or other ETFs) and/or mutual funds but that’s not really my cup of tea. While investing in index trackers immediately gives you wide diversification, it’s a bit too boring for my taste. I like the personal connection to companies that you get by buying individual stocks. So in the summer of 2014, I opened an investing account and started my dividend growth investing journey by buying 50 shares of Coca Cola (KO).